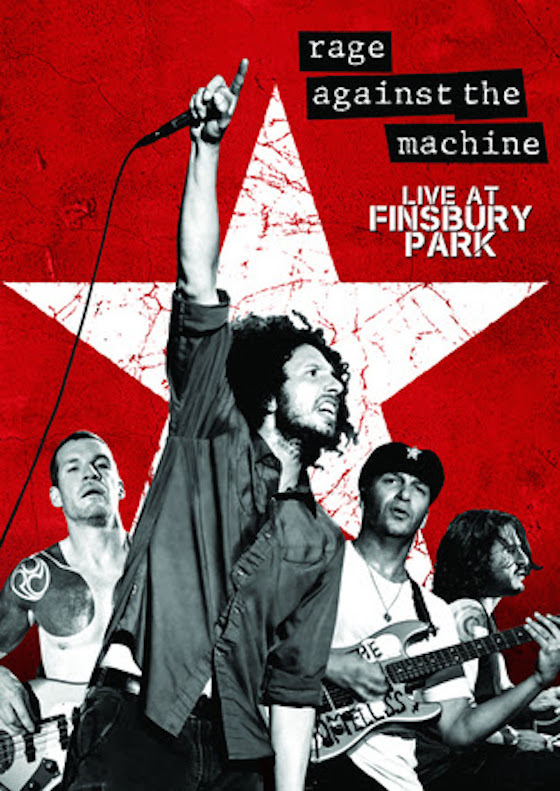 Staunchly anti-capitalist rap-rock outfit Rage Against the Machine have prepared a new live DVD/Blu-ray/digital download for you to spend your capital on. The DVD is called Live at Finsbury Park, which should perfectly describe where and what it captures. The show took place at the London, UK venue on June 6, 2010. It was a free concert, offered to British fans after Rage's "Killing in the Name" was voted as the UK's number one Christmas hit in 2009 thanks to an online campaign. The live performance features 12 songs from the band. It also includes some behind-the-scenes footage and an interview with Jon and Tracy Morter, who launched the Christmas campaign. Live at Finsbury Park will arrive on October 16 via Eagle Rock Entertainment.